Anki DRIVE – Toys and video games collide in a first-of-its-kind real-life robot battle-racing game. 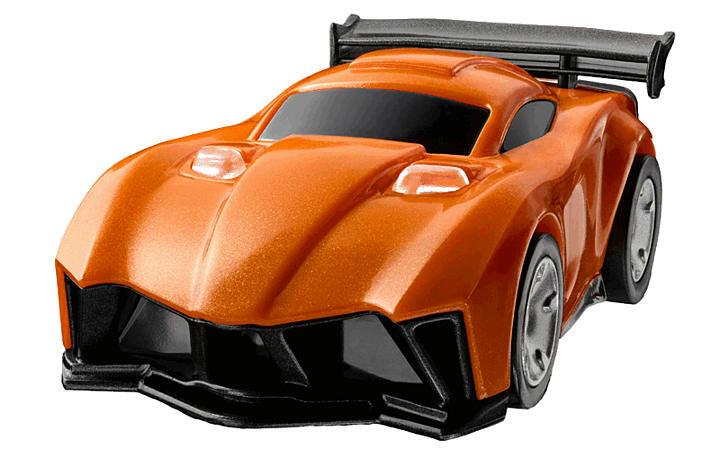 Turbocharge your lineup of Anki DRIVE robot cars with HADION, a fast and furious warrior. STARTER KIT (sold separately) is required to play. Add HADION to get more friends and family in on the battle-racing action. Take control of HADION using your iOS or Android device and battle up to three friends or other robot cars per game. 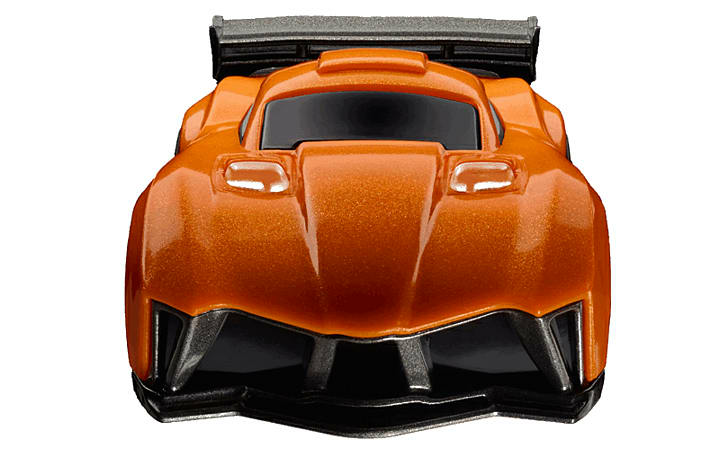 Use the free Anki DRIVE app to customize HADION with exclusive upgrades, like his Thermal Heatsink, which lets him use his speed boost more often. Part toy, part video game, all-out high-speed family fun. Anki DRIVE is a first-of- its-kind battle-racing game your whole family can enjoy on any floor in your home. Take command of real robot cars and fight friends to the finish line, or blast it out against self-controlled robots in a battle to be the last car standing. Add HADION to your collection and run circles around the competition. HADION is built to haul. His standard issue rocket boost gets even more revved up when combined with his unique Thermal Heatsink upgrade– making them the perfect partners in crime. The crime of blowing away the competition. HADION’s exclusive Thermal Heatsink upgrade significantly reduces his cooldown time between rocket-powered boosts. So he has the power to leave any would-be challenger in the dust. But HADION doesn’t just blow by the competition, he blows them away. Earn points in battle and use them to customize HADION with exclusive upgrades, destructive weapons, and high-tech gadgets. Pick the ones that perfectly match how you like to battle: increase HADION’s speed on the track, power up his weapons, and tons more. To take control of HADION download the free Anki DRIVE app from the App Store or Google Play. At this time iOS and Android drivers are not able to battle in the same race. Each player must have an iOS or Android device to command the cars. Use your iPhone 4S or newer, iPod touch (5th generation or newer), iPad 3 or newer, or your iPad Mini. To play using an Android device you need to download the app to your Galaxy S4 or S5 or Galaxy Note 3, 4, or 10.1 (2014 edition). When set to battle for himself HADION does not need to be connected to a device. Under the hood of each Anki DRIVE car is a built-in computer. This hardware gives each vehicle its ability to effortlessly stay on the track as you fire at opponents and steer to change lanes. The technology also gives each car its ability to fight using exclusive weapons and skills. Add the expansion cars (HADION, RHO, CORAX, SPEKTRIX, KATAL) that best match how you like to battle and get even more friends and family in on this awesome robot action.